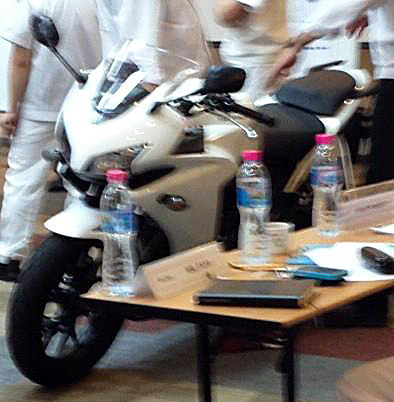 Spy photos have emerged out of Thailand depicting two new Honda motorcycles reputed to be a new CBR500 and a second, naked version, possibly to be named a CB500. 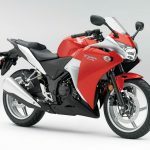 The photos were posted on the CBR250.net forum by someone claiming to have inside knowledge of the new 500cc Honda models which would be produced in Thailand where the CBR250R is currently manufactured. 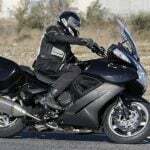 The faired version is equipped with dual headlights like the Honda CBR600RR instead of the VFR1200-derived Y-shaped light used on the CBR250R and its smaller siblings the CBR125R and CBR150 offered in some markets. 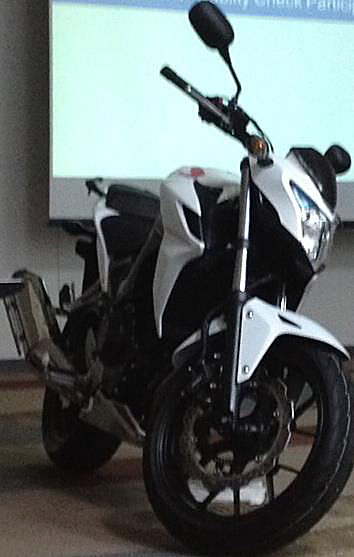 The photo of the naked model shows a single light with a small flyscreen and a simple, cylindrical exhaust can instead of the cone-shaped exhaust found on the CBR250R. 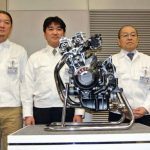 If these photographs prove to be accurate, the new 500cc models would fill a hole in Honda’s streetbike lineup between the 250cc and 600cc classes. 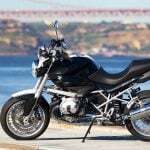 A potential 400cc model had previously been rumored to be in development, but the individual who posted these photos seems certain that the pictures depict 500cc bikes. We’ll likely hear official confirmation of these new models over the next few months, either in early October during the Intermot show in Cologne, Germany, or in November at the EICMA show in Milan, Italy.